← eBay Beware – Online Cheat “dzone2-au”. Canon U.S.A. 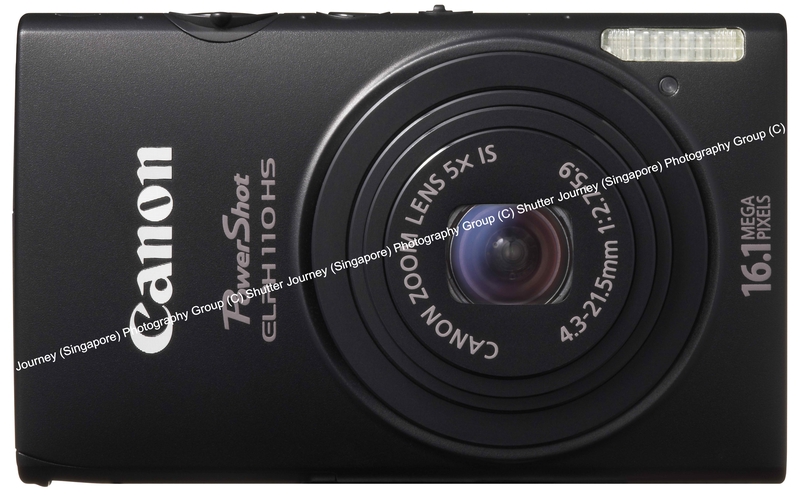 Introduces The Highest Image Quality Powershot Digital Camera, The G1 X. And Feature-Packed ELPH Series Cameras. LAKE SUCCESS, N.Y., January 9, 2012 – Continuing to revolutionize the digital camera market, Canon U.S.A., Inc., a leader in digital imaging solutions, today announced the introduction of a new flagship PowerShot model, the PowerShot G1 X, in addition to two stylish PowerShot ELPH models, the ELPH 520 HS and ELPH 110 HS. The PowerShot G1 X camera will feature a 1.5-inch, 14.3-megapixel CMOS sensor, the largest sensor to date for a PowerShot model, delivering approximately nine times more light sensitivity and helping to produce amazing depth-of-field and high-quality images in tough low-light conditions. For those users looking for a camera with advanced features in a compact form both the PowerShot ELPH 520 HS, the world’s thinnest 12x optical zoom with a 28mm lens1, and PowerShot ELPH 110 HS feature a sleek design and compelling creative capabilities. Living up to its reputation as a leader in the digital camera marketplace, Canon has incorporated the DIGIC 5 image processor into the HS SYSTEM for all three models. Achieving better quality images in low-light settings, boasting faster operation and providing improved color accuracy, the DIGIC 5 image processor ensures users are able to produce high-quality images in the most difficult of lighting conditions. The processor will also enable the PowerShot G1 X camera to utilize the High-Speed Burst HQ2 feature allowing photographers to shoot images at high speeds at full resolution to capture the perfect moving shot. Additionally, to ensure images are crisp and clear, advanced noise reduction and a smarter multi-area White Balance can be utilized to achieve accurate color reproduction for a balanced image. Advanced Smart AUTO, available in the PowerShot ELPH 520 HS and ELPH 110 HS, can detect up to 58 scenes varying from non-human moving subjects to people, landscapes, pets and vehicles, helping the camera determine the best mode of shooting. This technology has been enhanced to include a new Face ID feature, allowing users to register up to 12 people on the camera and have the camera recognize and prioritize each person. When registering individuals on the camera, users can take up to five images of a subject at various angles or facial expressions and enter their name and birth date. This allows the camera to make one of three age distinctions: Babies (0 to 1 year old), Children (2 to 12 years old) or Adults (13 years or older). Based on these different groups, the camera will give focus priority to the youngest recognized group in the frame and makes the images searchable as well with the ability to view only those images of a particular person. Further additions to this new feature are Smile Recognition and Sleeping Face Recognition. With Smile Recognition, the camera will take three consecutive shots of a scene such as a smiling baby or of grandparents at a family get together and select the best out of the three for the final image. For Sleeping Face Recognition the flash, assist beam and sound is turned off for that precious moment to be captured while not disturbing one’s sleep. Ideal for photography enthusiasts looking for the highest image quality in a compact, point-and-shoot design, the Canon PowerShot G1 X camera features the largest sensor to date for a Canon point-and-shoot model. The camera has a brand new, large 1.5-inch (18.7 x 14mm), 14.3-megapixel High-Sensitivity Canon CMOS sensor, delivering shallow depth of field, a wide dynamic range, an ISO range of up to 12800 and incredible light gathering ability helping to ensure brilliant images in even tough low-light conditions. Featuring an amazing Canon lens with 4X Optical Zoom, an aperture of f/2.8 to f/16 for beautiful images when shooting portraits and amazing clarity when shooting landscapes along with wide-angle capabilities starting at 28mm, the PowerShot G1 X camera makes certain that users will have the right optics for most any situation. Further adding to the EOS-like feature set of this new model is 14-bit, RAW+JPEG shooting and compatibility with accessories such as Speedlite, Macro Twin Lite or the Macro Ring Light flashes. HDR Shooting has been included to ensure the best possible shot is captured as well. The PowerShot G1 X camera also shoots in Full HD 1080p video ensuring memorable moments are captured in the highest quality. The Canon PowerShot G1 X camera has a bright, large 3.0-inch vari-angle LCD with 922,000 dots of resolution providing photographers with the highest quality available in a point-and-shoot. The inclusion of the Mode Dial on the top of the camera and the Front Dial helps provide more intuitive control of the camera. 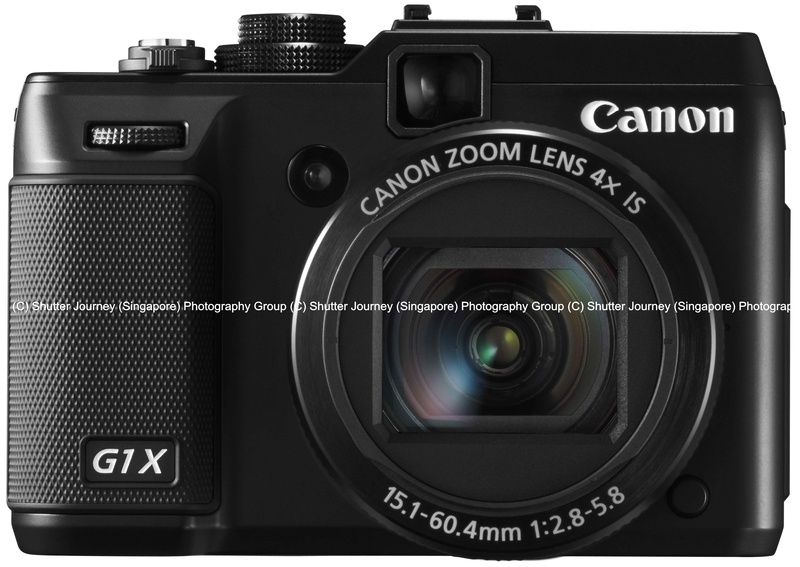 The estimated selling price of the Canon PowerShot G1 X camera is USD $799.99 and is scheduled to be available in February 2012. The feature-packed Canon PowerShot ELPH 520 HS camera resurrects the original PowerShot ELPH design with a more contemporary and radiant look and feel. This new stylish model has a 10.1-megapixel High-Sensitivity CMOS sensor along with a 12X Optical Zoom lens, ISO range of up to 3200 and wide-angle capabilities starting at 28mm. For photographers on the move, this camera also has Full HD 1080p video capture capabilities, a 3.0-inch LCD for easy viewing of images and High-Speed Burst mode where images are continuously captured at 6.8 frames per second. 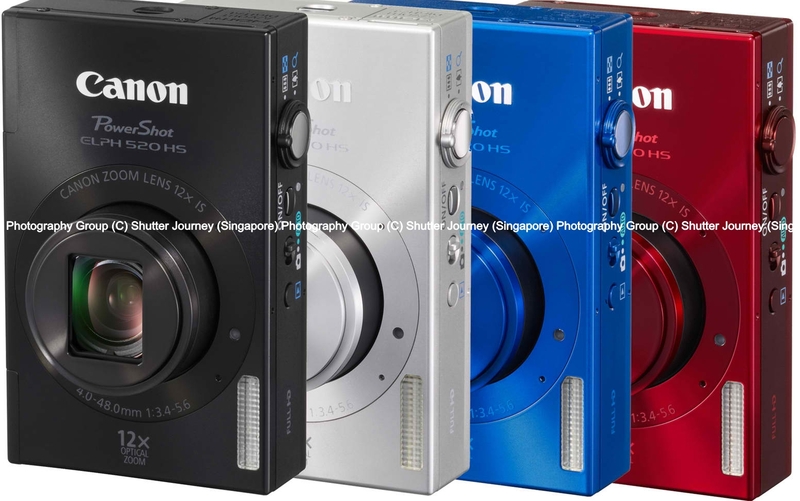 The Canon PowerShot ELPH 520 HS camera will be available in black, silver, red and blue in March with an estimated selling price of USD $299.99. Canon’s PowerShot ELPH 110 HS camera comes in a variety of fun, bright colors (black, silver, red, blue, green and pink) and is the ideal camera for new photographers. With a 5X Optical Zoom lens and wide-angle capabilities beginning at 24mm, this camera provides the user with the ability to fit an entire landscape or a specific area of a subject into one shot. The camera also features a16-megapixel High-Sensitivity CMOS Sensor, ISO range of up to 3200, 3.0-inch wide LCD and Full HD 1080p video capture for brilliant, high resolution quality. High-Speed Burst mode has also been included for continuous shooting up to 5.8 frames per second. 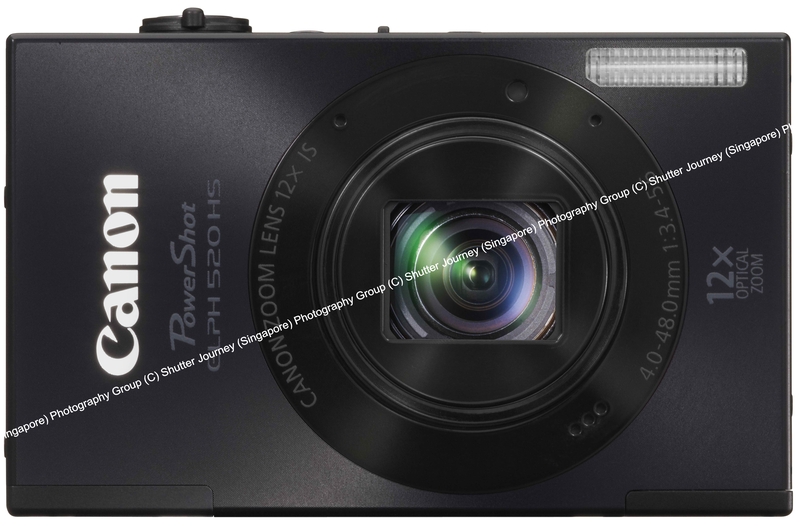 The Canon PowerShot ELPH 110 HS camera is scheduled to be available in February with an estimated selling price of USD $249.99. Canon U.S.A., Inc., is a leading provider of consumer, business-to-business, and industrial digital imaging solutions. With more than $45 billion in global revenue, its parent company, Canon Inc. (NYSE:CAJ), ranks fourth overall in patent holdings in the U.S. in 2010†, and is one of Fortune Magazine’s World’s Most Admired Companies in 2011. Canon U.S.A. is committed to the highest levels of customer satisfaction and loyalty, providing 100 percent U.S.-based consumer service and support for all of the products it distributes. Canon U.S.A. is dedicated to its Kyosei philosophy of social and environmental responsibility. To keep apprised of the latest news from Canon U.S.A., sign up for the Company’s RSS news feed by visiting www.usa.canon.com/rss. 2 The PowerShot G1 X camera’s continuous shooting speed at high resolution is approximately 4.5 shots at 6 frames per second. This entry was posted in Brand: Canon, Photography Articles & Videos, Uncategorized and tagged Canon, ELPH, Powershot. Bookmark the permalink. 1 Response to Canon U.S.A. Introduces The Highest Image Quality Powershot Digital Camera, The G1 X.